As you age, there are many different factors that pose threat to your hearing, but did you know that two of the most commonly consumed indulgences may help prevent this? Much of the age-related hearing loss is a result of inflammation that damages the tiny hair cells in the inner ear. These cells, known as stereocilia, are responsible for translating noise into electrical impulses that are processed by the brain. When the stereocilia are damaged, they do not regenerate, meaning the damage to your hearing is irreversible. So how can you prevent this damage from occurring? How about a glass of red wine and a square or two of dark chocolate? These indulgent treats have been found to have properties that reduce inflammation and preserve your hearing. Don’t believe us? Continue reading to find out how! Red wine contains an antioxidant from the skin of red grapes that can lower cholesterol and reduce inflammation, according to researchers. (Miracle fruit lowers cholesterol in 30 days.) This antioxidant has also been found to protect hearing loss related to excessive noise – known as noise-induced hearing loss. A team of researchers at the Henry Ford Hospital in Detroit tested the effect of this antioxidant in rats. Some of the rodents were dosed with the compound before being exposed to loud noise over a sustained length of time. These rats were found to recover their hearing much faster than their counterparts who did not receive the antioxidant, as the compound was discovered to decrease the production of a nutrient tied to inflammation. As a result, the antioxidant was found to reduce the risk of noise-induced hearing loss. Cheers! Dark chocolate also contains an anti-inflammatory agent that can boost the immune system and potentially aid in hearing recovery for individuals experiencing sudden sensorineural hearing loss. (Your CoQ10 levels fall alarmingly after your 20s.) This agent was found to enhance the rate of hearing recovery in a 2013 study that examined its effect on sudden sensorineural hearing loss, as it contains antioxidant and anti-inflammatory characteristics that can reduce oxidative stress in the cochlea. 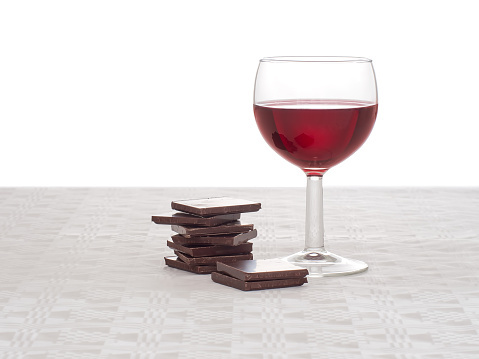 While these studies have shown that certain elements found in red wine and dark chocolate may preserve or improve hearing health, it is important that these items are enjoyed in moderation. Too much of a good thing may end up causing more harm than good, so be sure to limit your intake and treat wine and chocolate as the indulgences they are.